Expert Witness Training via the PCA – any good? 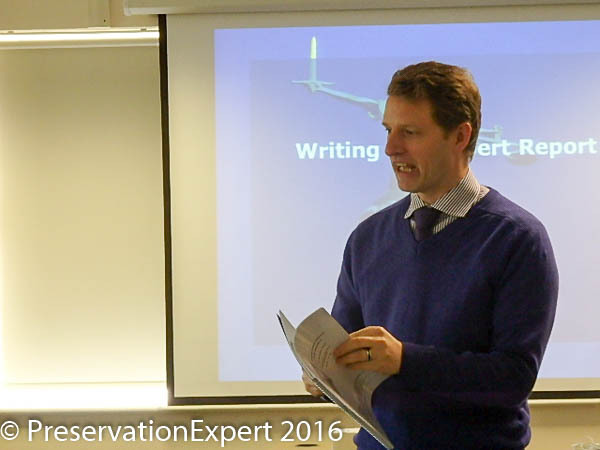 Yesterday I was at the Property Care Association HQ (PCA), to attend the Writing Expert Reports course. This is one of the growing number of specialist additional courses the PCA have been adding to their already extensive suite. 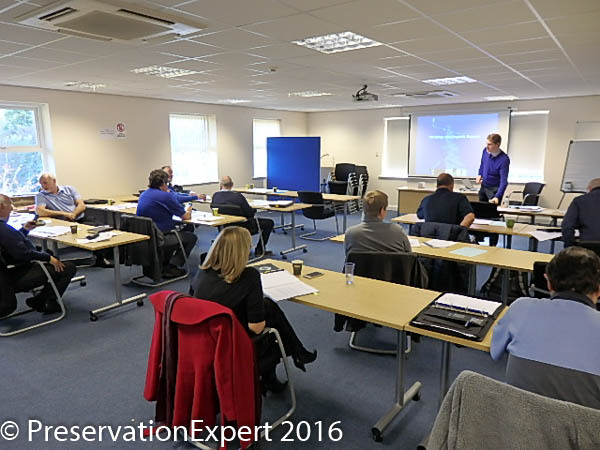 Lynden Alexander of Professional Solutions delivered a fascinating day, for a diverse range of PCA members. 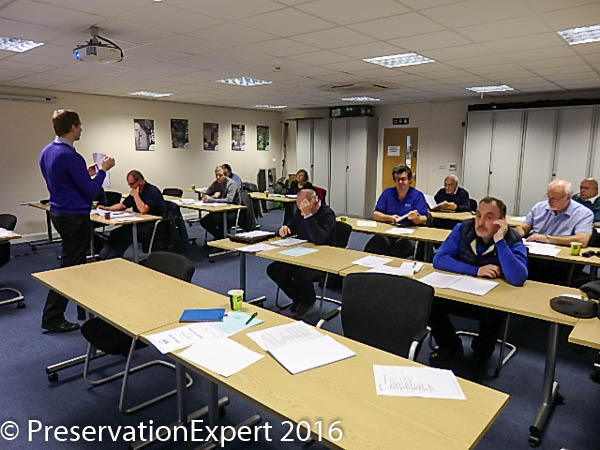 These members included specialist contractors, independent surveyors, waterproofing experts and invasive weed specialists too. Virtually all PCA members write reports and it’s essential that their clients understand the content of them. However, writing reports as an expert for use in court, requires another skill set. Lynden is a Forensic Communication Consultant. I must admit that I haven’t come across this job title before, though now that I have, I can see why people in his role are so sought after. The day was an eye opening introduction to the vagaries of writing reports for use in litigation. Clear communication is the stock in trade of any professional, however we soon found out that in litigation, even the slightest hint of a mistake or, an ambiguous sentence or two, can and will be pulled apart by a barrister; in court it pays to be precise. The thing which surprised me was just how easily Lynden was able to break-down seemingly precise statements. He quickly raised doubts about the meaning of what to me, were apparently clear sentences. He demonstrated how experts can fall foul in court, merely because they are used to talking to other experts. In effect they will become used to their own ‘context of obviousness’. The above leads to habitual sloppiness in descriptive writing. Crucial details may be missed out, because the writer simply assumes that the reader will understand the finer implicit points, which the writer finds ‘obvious’. Such assumptions not only lead to genuine misunderstandings; they also allow clever barristers the opportunity to exploit them and, thus break down the technical arguments the expert has made. Who would have thought that CPR 35 could be fun? For those who aspire to make a living from acting as an expert witness, the day was a treasure trove of information. The Civil Procedure Rules were talked through, with Lynden pointing out areas where common errors and omissions lead to problems. He’s vastly experienced in this field and was able to use real case insights to back up all of the points he covered. These ranged from the importance of not allowing instructing solicitors to ‘parachute in’ weak and unsubstantiated conclusions, to making sure initial instructions are clear from the outset. At this stage of my career; running a busy contracting firm, I have no desire to promote myself as an ‘expert witness’. To do this would require my clients to ignore the clear conflict of interest I’d have, were I to give any advice on projects where fellow contractors were involved. However, the skills Lynden was helping us all refine; accuracy, readability and clear unambiguous writing, sit perfectly with a specialist contractors daily work. The day certainly helped me look again, at my own shortcomings, in relation to application of ‘Bryan’s context of obviousness’. Blog readers will know my grammar is terrible, but after the day with Lynden I discovered some useful hints and tips, which I can use to help get my messages across more clearly. In summary the course will be a very useful day for any experienced surveyors, whether or not they intend acting as a court expert. My own trip to Huntingdon was money and time well spent. Well done PCA and Professional Solutions. For readers needing an independent expert report, please don’t contact me. The Property Care Association web site has a useful find a specialist section, where independent surveyors and consultants can be found. If you need a Yorkshire based damp, wall tie and timber decay specialist contractor, with some level of expertise, do please have a look at my little firm… in Yorkshire.